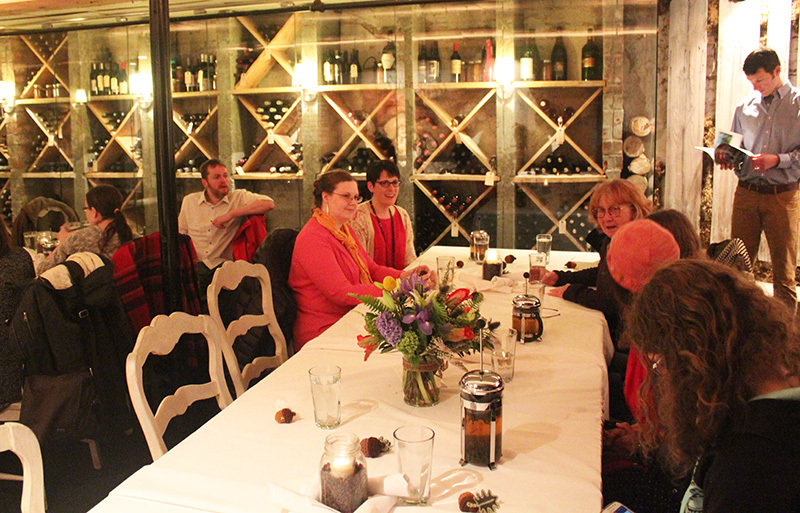 We all gathered in the stone-and-moss-clad wine cellar of Beatrice & Woodsley. 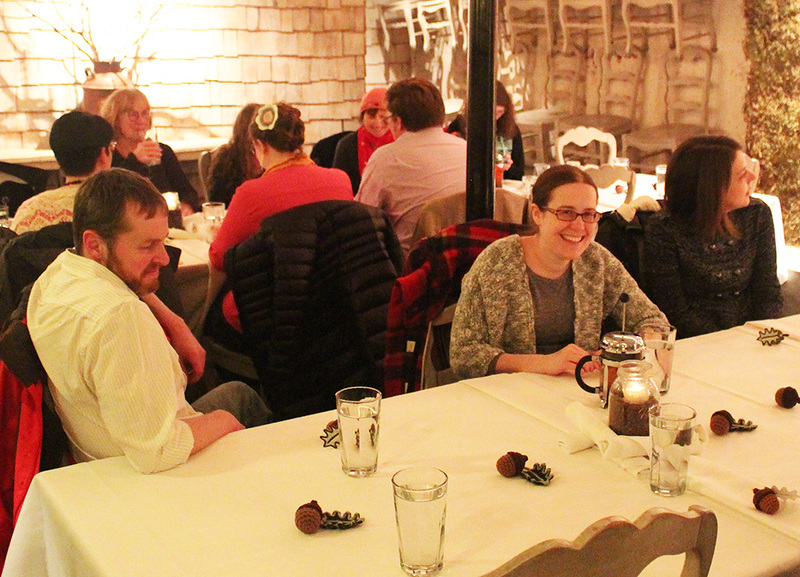 It was the perfect place to tuck away from the storm and get cozy with some good food and good company. 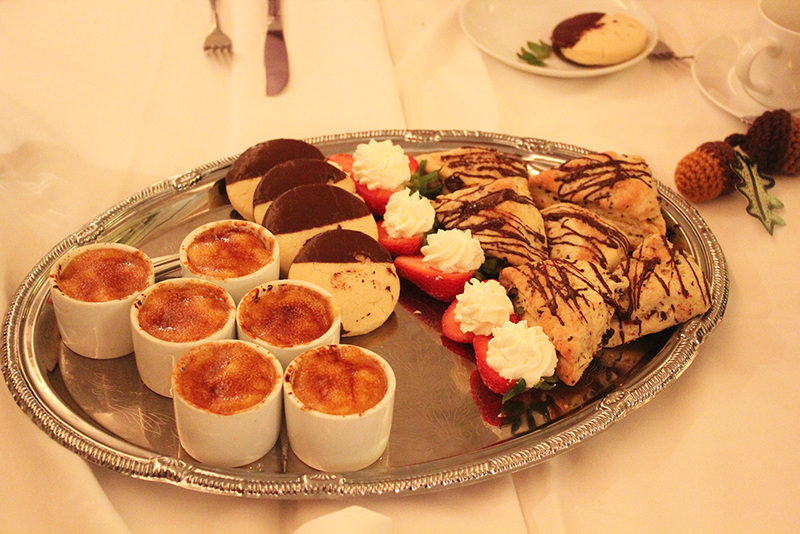 We enjoyed petite delicacies like finger sandwiches (the ones with pimento spread were my favorite), blintz, scones, cookies, tiny cups of crème brulee, and pots and pots of delicious tea. Hodge and Podge were on hand to sign books. Shelby, the Ideas Man, took these photos and also cracked us all up with his plans to breed and sell werewolf house cats. I enjoyed having so many of my favorite people in one place. These moments are special. 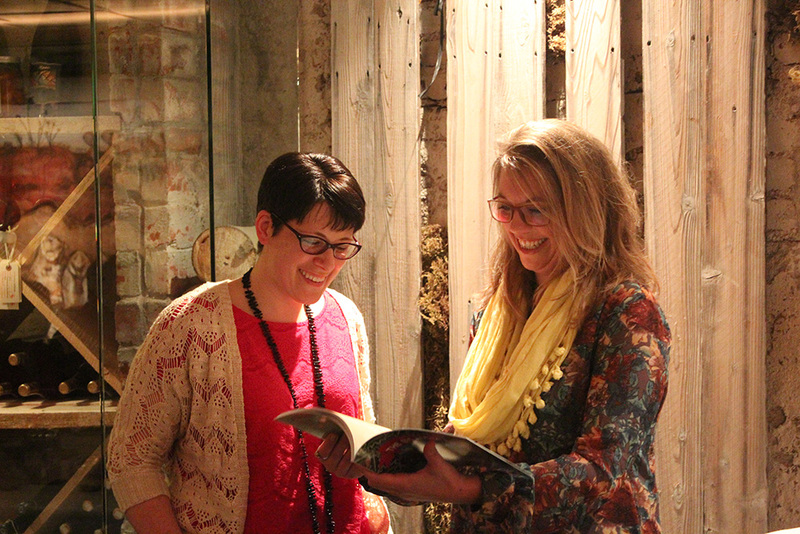 I also really enjoyed having the opportunity to thank everyone who helped in the making of the book. 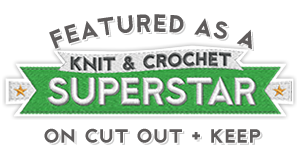 I couldn’t have done it without you all! I count this book as one of the biggest gifts that Squirrel Picnic has ever given me, and I plan to treasure it for the rest of my life. I hope you all enjoy it too. 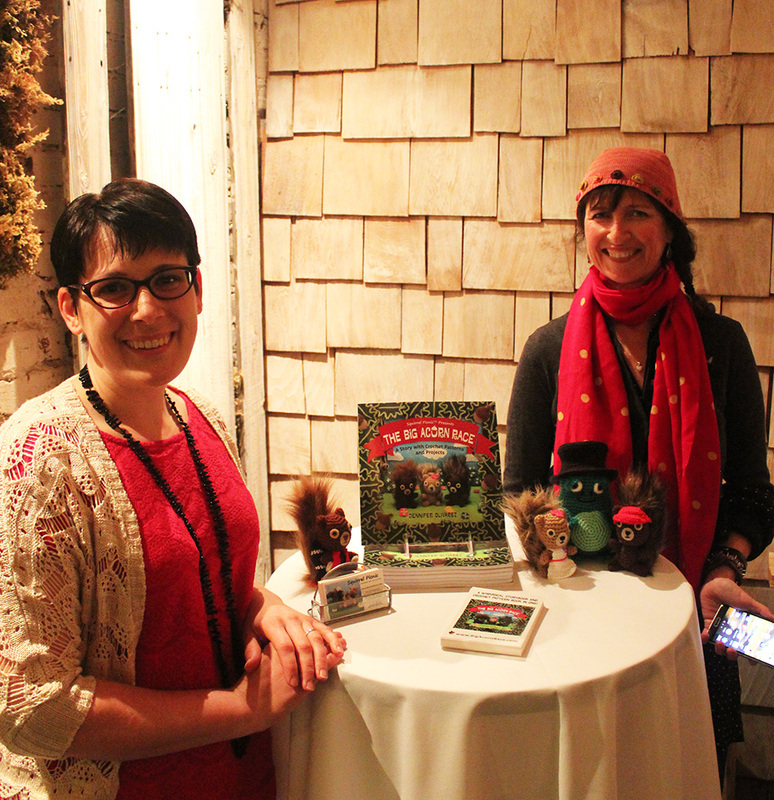 Here I am with Sylvie Abecassis, the amazing artist who designed and laid out the book. 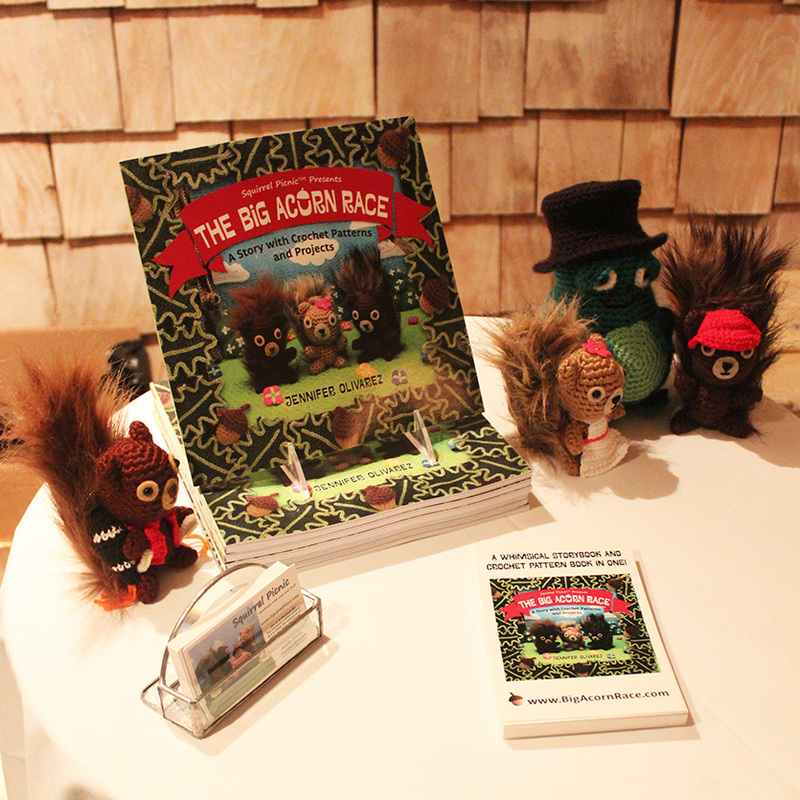 What a fun time we had celebrating the launch of The Big Acorn Race! Thank you, Katy! It was fun!